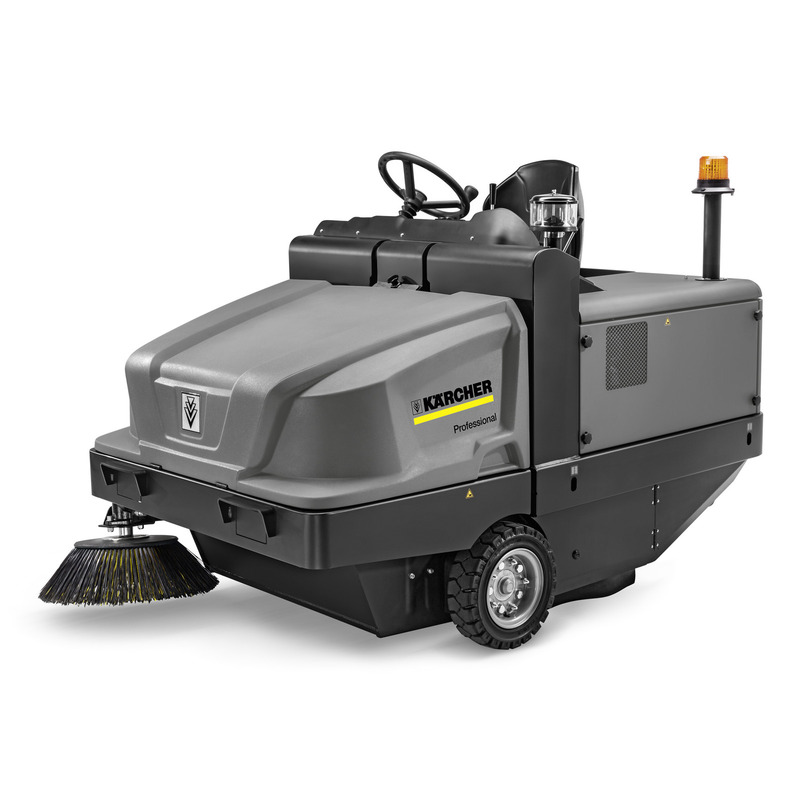 KM 120/250 R Bp Classic 11860020 https://www.kaercher.com/tn/professional/sweepers-and-vacuum-sweepers/industrial-sweepers/km-120-250-r-bp-classic-11860020.html The emission-free, battery-powered KM 120/250 R Bp Classic industrial sweeper. Perfect for use in noise-sensitive inside and outside areas. For impressively good sweeping results. The emission-free, battery-powered KM 120/250 R Bp Classic industrial sweeper. Perfect for use in noise-sensitive inside and outside areas. For impressively good sweeping results. The electric drive in our KM 120/250 R Bp Classic industrial sweeper not only allows emission-free use inside and outside, it is also responsible for the machine's very low operating noise. It is thereby particularly suited to applications in noise-sensitive areas. However, its robust design, the pocket filter with vibration motor for cleaning, the large waste container with convenient hydraulic high container emptying and the resistant solid rubber tyres also make the machine ideal for harsh applications in very dusty environments. Construction companies, the metalworking industry and foundries can benefit significantly from the machine's outstanding performance. The brushes, which adapt perfectly to the ground surface, effortlessly pick up coarse and fine waste. Lastly, the high level of user-, maintenance- and service-friendliness makes this successful concept a practical one.